If you ever make plans to resign from your current position, then there are a number of things you should take the time to consider when writing your resignation letter. For one, there are several kinds of resignation letter formats available to you so that you can find a smooth way of leaving your current employer. One of these is including a 30 days’ notice on your letters for the sake of convenience. When making your own notice of resignation, you are not likely to leave right away. After all, it is not quite so simple as just leaving without considering how your departure would affect the company. There are some things you would have to deal with before you are really free to leave, to say nothing of any personal business you might have to deal with at the office; hence the need to give some notice before actually taking the plunge. One thing that you would need to keep in mind when actually writing your HR notice period letters is knowing the reasons why you might want to do things this way. There are several concrete reasons for doing so, all of which have to do with making your departure more convenient both for yourself and your colleagues. It might be wise for you to take advantage of this information so that your letters can serve more needs at a time. You can make the argument that it is only polite to send in resignation notices, especially if they provide some time before fully coming into effect. After all, you would naturally be leaving while your colleagues would be working. Giving some measure of fair warning before taking our leave allows you to ensure that your colleagues are not left in the lurch. Aside from that, this can also be taken as a sign of professionalism as you would not leave until you have made sure that your departure causes as little disruption to the normal flow of work as possible. As a supplement to the last point, making use of sample two weeks notice resignation letters can allow you to finish all the many things you would have to secure before you could leave. For example, you would have to go through some paperwork before being free to resign, along with negotiating with management to make sure that you get all the benefits you are owed before leaving. After all, having been a productive employee entitles you to certain benefits such as a final paycheck and references for your next job. Giving notice to leave can give you more security as you would be able to settle all of that beforehand. The conveniences of using sample notice of resignation letters can also be applied to the management, as they would need time to process all the documents to make sure that your departure can be handled smoothly. After all, the HR department would have to settle issues such as dealing with your final paycheck, to say nothing of arranging all your other benefits. Giving notice can give you and the management a common schedule so that all your needs can be met at the same time. Another thing to consider is that you may also have to be involved in the process of finding and training your replacement, especially if yours is a very specialized job. Even if that is not quite the case, you would still have to give the company some time to find a replacement for you so that they can function even without you. Providing some notice can easily give them time to do just that. You may also want to follow some tips that could help you when using your notice letter templates to write your letters. After all, these tips could very well serve to make your departure flow more smoothly than if you went without them. Make sure your resignation is final. One thing that you always have to take note of when using resignation notice templates is that your resignation definitely needs to be final. After all, if you have really made your mind up then you would want to make sure that the management understands that you really are leaving and that you are only providing some time to settle all your affairs. Doing it this way can remove any ambiguities about the possibility of your leaving as you have already stated that it is a definite decision. Be sure to be polite. In any official letter, you always need to remember to be polite in how you word it. After all, you are still dealing with superiors and it pays to stay polite. More pragmatically, being polite can establish a better reputation for yourself, to say nothing of how it could make your superiors more likely to vouch for you to any of your new employers. In short, it always pays to be professional in your letters like a two weeks notice letter, especially when you have plans to leave your current place of employment. Plan your 30 days ahead. Another thing that would be wise to consider is how to spend the time you gave management. When using any resignation letter with 30 days notice template you need to give some thought as to how you would make use of your days. In that case, it would be wise to plan out your days so that you can work out how to accomplish all your obligations before you actually leave. Be sure to check your letter’s format. 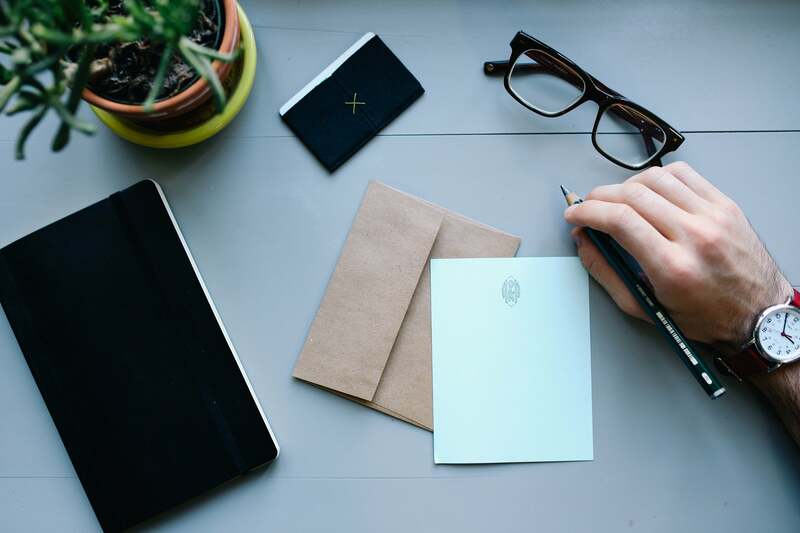 When making any kind of official business letters, you always need to check the format so that it conforms to basic business letter standards. As such, you should always check that your sample employee resignation letters have been formatted and edited properly. After all, this is a basic requirement in order for you to stay professional, which is one reason why it is such an important requirement. Hopefully, you should be able to get more out of the resignation letters you ever need to write. And if you do have to write one yourself, then you might want to include a 30 days’ notice in order to provide some fair warning to your colleagues.